I dug up one of my oldest blog posts from about 7 years ago. 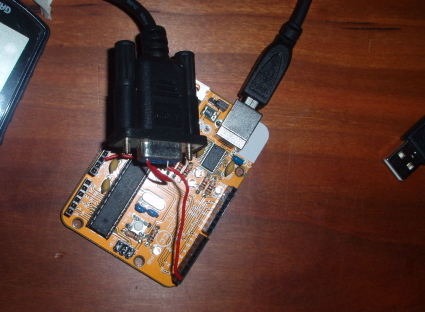 In the post, I show how I had connected my Garmin eTrex GPS receiver to an Arduino board and used it to control a camera in a desktop application. I haven’t used it for years, but thought some of the methods from this old post may still apply if you have an Arduino + GPS or Arduino -> Python streaming requirement. Enjoy the flashback – I know it’s inspired me to pick up a new Arduino to continue where I left off. I write about my books, work and other technology ideas here. In case you're wondering if you've found the Tyler Mitchell you were looking for, I'm the Canadian (Williams Lake, BC), a Geographer (B.A. Lakehead University) formerly of Lignum, Timberline, OSGeo, and currently of Actian.com where I work in R&D via the CTO Office's Innovation Lab. Hope you found what you were after, thanks for stopping by.